The term “Welcomme Wonderland” or “us” or “we” refers to the owner of the website whose registered office is 17 Dingley Road, Oakdale, Poole, Dorset. BH15 3RD .The term “you” refers to the user or viewer of our website. The images and audio on this website are, unless otherwise stated, owned by Scott Welcomme and are subject to copyright. The unauthorised use of the Welcomme Wonderland logos, or any third party logos accessed via this website, is not permitted. From time to time this website may also include links to other websites. These links are provided for your convenience to provide further information. They do not signify that we endorse the website(s). We have no responsibility for the content of the linked website(s). No endorsement or approval of any third parties or their advice, opinion, information, products or services is expressed or implied by any information on this site or by any hyperlinks to or from any third party websites or pages.? A link to this website from another website or document is permitted for promotional use and enjoyment purposes. All text, images and logos are copyright of their respective owners. We endeavour to take all reasonable steps to protect your personal information but cannot guarantee the security of any information you disclose online. You accept the inherent security risks of providing the information over the internet and will not hold Welcomme Wonderland responsible for any breach of security unless this is due to the negligence or wilful default of Welcomme Wonderland. We will only send email to people who have ‘opted in’ to receiving from us. We respect your right to object; and the right not to be subject to automated decision-making including profiling. 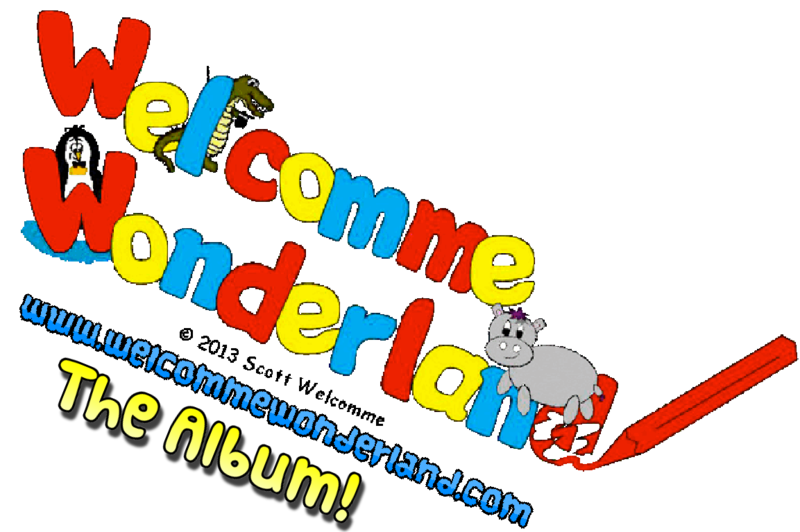 By entering your name and email on the website you are ‘opting in’ to receiving an Mp3 download of one of the songs from the Welcomme Wonderland album. You will also receive a monthly newsletter called ‘Monthly Welcomme’ keeping you up to date with the latest goings on at Welcomme Wonderland. We may include in the newsletters opportunities for competition entry and other promotional material direct from us at Welcomme Wonderland. If you have opted to receive our email newsletter (‘Your monthly Welcomme’) your name and email address will be stored in our newsletter database along with when and how you opted to receive it. As boring as it may sound-everyone gets the same emails- there are not currently targeted specific emails based on purchase history. As the newsletter is monthly, you will continue to hear from us each month, where a newsletter is send out, until you let us know you no longer wish to receive them. We hope you are happy to continue receiving our newsletters but if you decide that Welcomme Wonderland is not for you, you may unsubscribe from our mailing list at any time. Simply click unsubscribe at the base of any email you have received from us and you will stop receiving mail from us. You can also email us at info@welcommewonderland.com stating that you wish to unsubscribe and letting us know the email address used that you wish us to unsubscribe from. Our record of your email address, along with any other information you have provided to us will be destroyed, respecting your right to erasure. We will be sad to see you go but respect your privacy. Internal record keeping. This information helps us keep track of when an item was bought so we can easily identify it an issue arises. We are committed to ensuring that your information is secure. In order to prevent unauthorised access or disclosure we have put in place suitable physical, electronic and managerial procedures to safeguard and secure the information we collect online. please remember that no method of transmission over the Internet, or method of electronic storage, is 100% secure. While we strive to use commercially acceptable means to protect your Personal Information, we cannot guarantee its absolute security. We are not responsible for any damages which you, or others, may suffer as a result of the loss of confidentiality of such information. Our website and services we use to run it are hosted and located within secure data centres within the United States of America (USA) Customer orders from our website are through paypal. We use secure server software (SSL) to host our website and the information you submit to us, goes to a database hosted in a secure data centre. Whilst we cannot ensure or guarantee that loss, misuse or alteration of data will not occur, we will do our utmost to prevent this. For more information on the companies that we use to host our website and distribute our emails from please click the following links to go direct to their websites where you can read their individual privacy policies and terms and conditions. You have the right to ask us to erase your personal data or not to process your personal data. We will inform you (before collecting your data) if we intend to use your data for marketing purposes or if we intend to disclose your information to any third party for such purposes. You can exercise your right to prevent such processing by either unchecking certain boxes on the forms we use to collect your data or not opting in on any forms at all. You may request details of personal information which we hold about you under the new regulations for GDPR- without charge. If you would like a copy of the information held on you please email privacy@welcommewonderland.com with your request or write to us at Welcomme Wonderland. 17 Dingley Road, Oakdale, Poole, Dorset. BH15 3RD. We will respond within one month, sooner if possible. Where requests are manifestly, unfounded or excessive we reserve the right to refuse or charge for requests- in line with the guidance from the ico regarding GDPR. We may need to request specific information from you to help us confirm your identity and ensure your right to access your personal data (or to exercise any of your other rights). This is a security measure to ensure that personal data is not disclosed to any person who has no right to receive it. We try to respond to all legitimate requests within one month. Occasionally it may take us longer. Some External Third Parties are based outside the European Economic Area (EEA) so their processing of your personal data will involve a transfer of data outside the EEA. Please visit the relative countries websites relating to their laws and provision for more details. The data controller for Welcomme Wonderland is Scott Welcomme. We may from time to time use data processors, who are not employees, agents or otherwise connected with us, with whom we have an agreement to process your data. You have the right to make a complaint at any time to the Information Commissioner’s Office (ICO), the UK supervisory authority for data protection issues (https://ico.org.uk). In the UK, please read: https://ico.org.uk/concerns/ for details of how to do this. We would, however, appreciate the chance to deal with your concerns before you approach the ICO so please contact us in the first instance.